Your promotions are in place, you’re getting some great reviews, sales are good, and the holidays are around the corner. It’s time for your Spa or Salon to spread the cheer and give back this holiday season. Charity work doesn’t just create good karma for your business—it can stir up some seriously positive PR, cause an upswing in employee morale, and forge important new connections with other local businesses and leaders. Donating your team’s time and talents is an amazing way to give back and show that your business cares. Teaming up with local high schools to create a youth apprenticeship program not only gives young students the opportunity to get hands on professional experience, but it gives your business some great word of mouth from the students, teachers and families in your area. It can also lead to easier recruitment when looking for new talent. 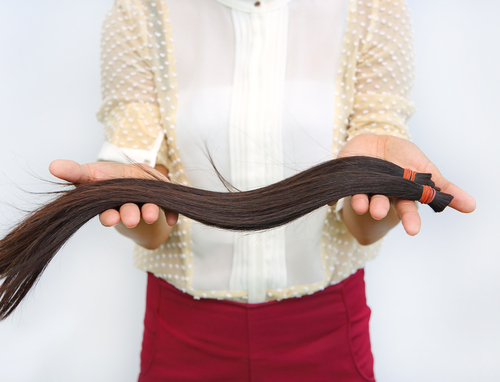 Locks of Love is an amazing organization that uses donated hair to make hair prosthetics for children suffering long-term medical hair loss from any diagnosis. Register at a participating location and plan an event at your Spa or Salon to see just how many heads you can shear for a good cause (the hair does have to meet their standards). It’s a great way to create good will for your company, build camaraderie with your staff, introduce your business to new people, and bolster your PR. Donate your time to an organization like Dress for Success to help prepare women for interviews. Once they’re economically independent, you might have some customers for life. You can also help highlight the beauty of cancer patients and survivors through organizations like Look Good Feel Better. What a wonderful way for your staff to bond and make a difference. If those opportunities aren’t in your area, plan a visit to a local nursing home and give out some free manicures and pedicures. The residents will love the attention and when their family visits, they’ll be so excited they’ll be sure to give you a referral. Pick your slowest day of the week and advertise that a percentage-of-proceeds will be donated to charity on that day. Talk to your staff and customers about the types of organizations they’d be interested in supporting and watch as business picks up with customers trying to support your efforts. Hold an event where you and your staff work extra-long hours to raise money for charity. Whether it’s all-proceeds, or a-portion-of, marathon events are always great for PR and employee moral. Reach out to local newspapers and stations and new faces will be sure to show up to help—and they just that might become new regulars.